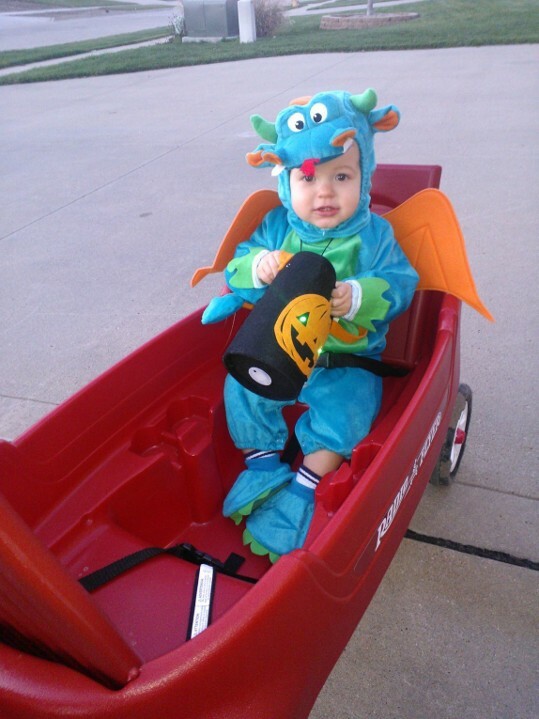 Cutest little dragon in the world! We “practiced” wearing this costume twice last week and by today, he was super excited to have it on. Not one tear! At the neighbors’ – who really get into Halloween! Awww he does make one extremely cute dragon!! 🙂 Good idea with the practice wearing it. That is most definitely something to practice. HA! Aww that costume is awesome! Too bad we didn’t get to parade them around last weekend. Have fun tonight! So, so precious. Have fun tonight! I love this! How adorable. Enjoy your evening and hope you guys have a fun, safe Halloween! 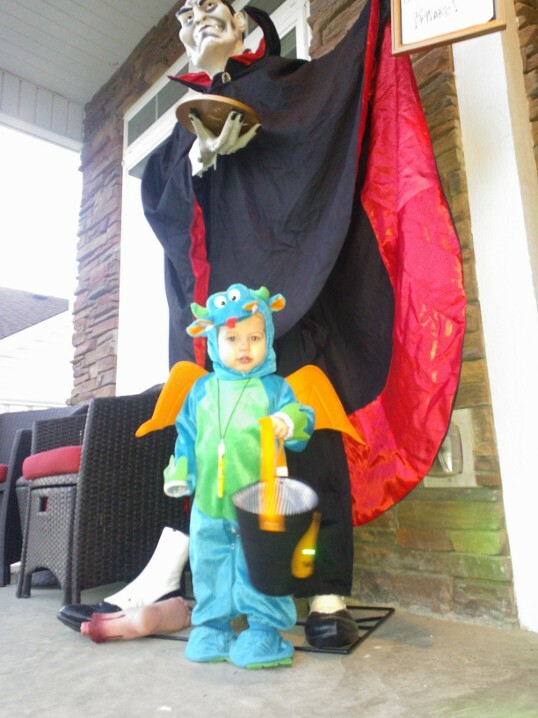 Yeah he is the cutest dragon out there…SO CUTE!!! I love the wagon. As I sit here munching on Raegan’s candy, I’m thinking we need to invest in a wagon…the stroller thing was ok, but next year, she’s going to be walking…wagon is way easier! He LOVES his wagon! We take it for a spin at least once a day. He was so excited to sit in it between each house. HA! You must get one!